You started out with a casual yoga class every now and then. Slowly (or maybe quickly) you found yourself doing more and more yoga. You rearranged your schedule to accommodate your preferred classes, you mourned a little when your favorite teacher moved across the country. Maybe you went to a few yoga festivals or workshops with prominent teachers from out of town. Your practice grew stronger, deeper, and more fulfilling. It felt like the glue that was holding everything together. In short, you got hooked on yoga. So what's the next step? For many, it's a yoga teacher training course. If you want to start teaching, it's a necessity. But even if you don't plan on becoming a yoga instructor, a good training program will transform your practice by increasing your knowledge of anatomy, philosophy, sequencing, and alignment. Some students who love yoga and are unfulfilled by their day jobs hope that becoming a yoga teacher will offer them a way to make career and lifestyle changes. Although things sometimes work out that way, be forewarned that most yoga instructors do not make a lot of money. Those teachers that do make their living solely by teaching yoga work incredibly hard in a profession where there are no health benefits, no 401k, no job security. Often this includes juggling classes at multiple locations and establishing a loyal following of students. The competition for prime class times can be intense. Those that have a true calling to teach wouldn't have it any other way, but it's no walk in the park. On the other hand, lots of great teachers find balance through leading a few classes a week while keeping their regular jobs for financial stability. If you plan to start teaching after your training, it's important to stay realistic about the path ahead. What Is a Registered Yoga Teacher (RYT)? 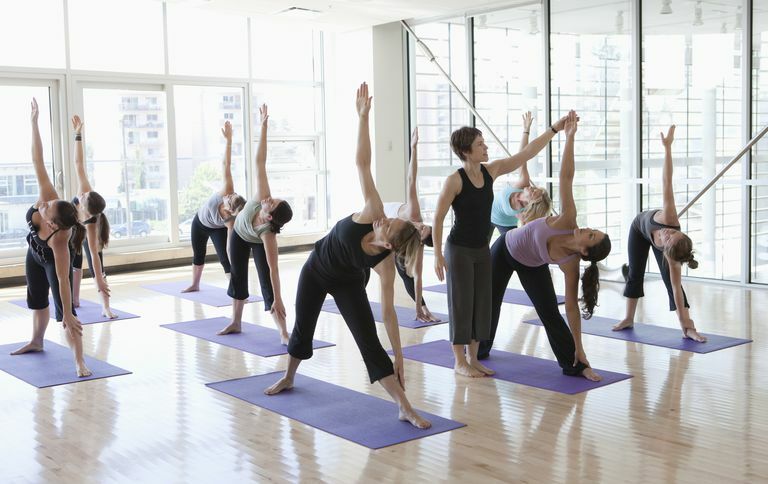 In the United States, teacher-training programs that meet certain guidelines are registered by the Yoga Alliance, which is a nationally recognized organization but not a sanctioned governing body. Since there are no required licenses or certifications for yoga instructors, the Yoga Alliance's recommendations act as unofficial standards for training courses. There are two levels of Yoga Alliance registrations: 200-Hour and 500-Hour, referring to the length of the program. Trainees first complete a 200-Hour program, which most yoga studios require as the minimum training for their teachers. After several years of working as an instructor, some choose to continue their studies by undertaking a 500-Hour training. Upon completing a 200-Hour training program and after registering with the Yoga Alliance, teachers may use the acronym RYT (Registered Yoga Teacher) after their name. Those with qualifying additional training and teaching experience can become E-RYTs (Experienced Registered Yoga Teachers). Most specialized types of yoga such as Baptiste Power Vinyasa, Iyengar, Anusara, and Bikram require that teachers complete a specialized training program under their own auspices. Many training programs have entrance requirements for prospective trainees. These vary but typically include a recommendation that you have practiced for several years and have taken some classes with the teacher with whom you propose to train. If you practice only Bikram Yoga, for instance, your choice of a training program will be clear-cut. However, you practice vinyasa or hatha yoga, you will have a lot more choices. The most obvious place to start looking is at your favorite yoga center. Many yoga studios offer teacher-training programs but take a good look at the curriculum before you sign on. With trainees paying thousands of dollars in tuition, yoga teacher-training has become a moneymaking operation. So make sure any program you consider is registered with the Yoga Alliance. This will guarantee that you will spend a specified number of hours studying asana, teaching technique, anatomy, and philosophy. You should also talk to your favorite yoga teachers about where they received their training. If you live in an area with no teacher-training programs, consider doing an intensive program at a yoga institute or ashram elsewhere. The Yoga Alliance website spells out their minimum standards and can help you identify Registered Yoga Schools in your area. Cost – Expect to pay upwards of $3,000. Schedule – Some programs are intensive, lasting only a month or two but meeting every day during that period. Other programs last six months or a year but only meet in the evenings or on weekends.